Preparing and filing your taxes can be complicated. Don't sweat tax season, these websites are here to help you! 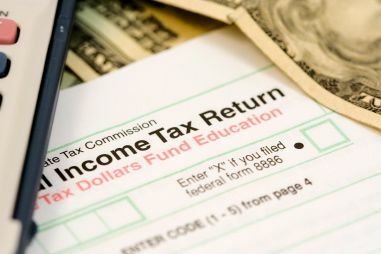 With tax season looming over your head, it might be time to start thinking about filing your tax return. There are plenty of websites that offer helpful and accurate information to help retirees. Whether you are planning to file on your own or with the help of a professional, you should do some online research beforehand to understand your options. Here are websites to help get you started this tax season. Retirees should visit the Internal Revenue Service (IRS) first for online help during tax season. The IRS website provides a wealth of information and is probably the best resource for all taxpayers. It has links to help with tax preparation and filing as well as information geared specifically toward retirees. Retirees can find out if they need to file a return, get answers to their tax questions, understand what their standard deduction is, where to get replacement forms, and if they can receive the Premium Tax Credit under the Affordable Care Act. Another benefit into checking out the IRS website is finding out if you qualify for free tax preparation services. The IRS Volunteer Income Tax Assistance is a program that offers free tax help for retirees who make less than $52,000. Volunteers working in this government-sponsored program will help prepare and file your taxes free of charge. Another great program for retirees is the Tax Counseling for the Elderly (TCE). The TCE offers free tax assistance to people over the age of 60 and specializes in pension and retirement issues. The IRS website also provides information and tips on how Baby Boomers can avoid tax scams and frauds. AARP is another valuable resource for retirees needing help during tax season. The AARP Foundation has been providing guides, links, and other useful information through their Tax-Aide program since 1968. This volunteer-based program has helped more than 50 million low to moderate-income people who are over 50 years old. There are more than 5,000 locations throughout the country that offer this tax service through AARP, and services are typically found in community centers, senior centers, local libraries, and banks. Tax-Aide program volunteers are IRS-certified and an AARP membership is not required to utilize this service. Retirees can find a Tax-Aide location close to their home by searching on AARP's website and entering their zip code, county, or address. Once retirees have found their preferred location, all they need to do is bring their required documents to get started on their tax return. This government website is also useful for retirees needing assistance with their taxes. It provides links that direct you to the IRS website and to the appropriate page where all of the specific information you need can be found. The website is user-friendly and easy to navigate with the most important tax categories provided. Just a simple click on the designated link gives you a summary of what you are looking for and the appropriate links to follow for additional information. TurboTax is a tax program that Baby Boomers can use if they choose to prepare and file their own tax return. This program is available to purchase as a CD, download to your computer or on a mobile device or tablet. The tax program runs a series of questions based on the information retirees enter themselves after each prompt. Depending on your filing status, you can file for free by using the simple Federal and State tax returns, which are 1040EZ or 1040A. Other tax forms that require information about additional deductions, rental property, investments, and small businesses will cost between $40 and $80, but you only pay when you file your tax return. You can also start a free trial to test out the program and see if you are comfortable preparing your own tax return before deciding to pay for this service. If you run into any problems or have questions, you can chat or call a TurboTax expert that’s available 24/7. There are also a variety of local nonprofit organizations that offer free or low cost tax preparation services to qualifying taxpayers. These services are typically offered to people who are low to middle income or are of a certain age group. You can always check online or at your local senior center that may offer these services or information on where to go for tax filing assistance.